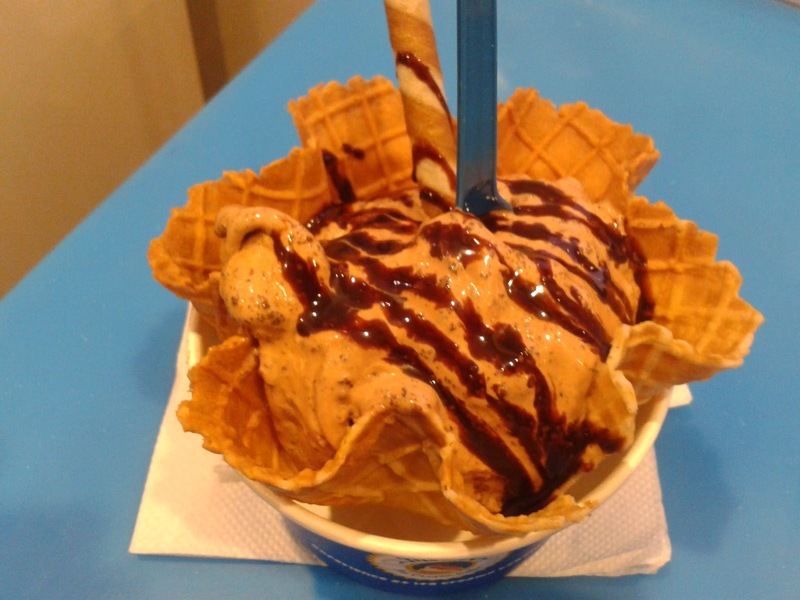 Hazzel is perhaps the fastest growing Ice Cream chain in Hyderabad. From one café at Gachibowli, it has spread to all over Madhapur, Banjara Hills, Jubilee Hills and Kukatpally in little under 2 years. They serve great finger food too in some of these locations. The ice creams and sundae choices are great and my particular favorite is Chocolate Praline Royale, which is essentially Choco and Hazelnut Ice Cream served with nutella. 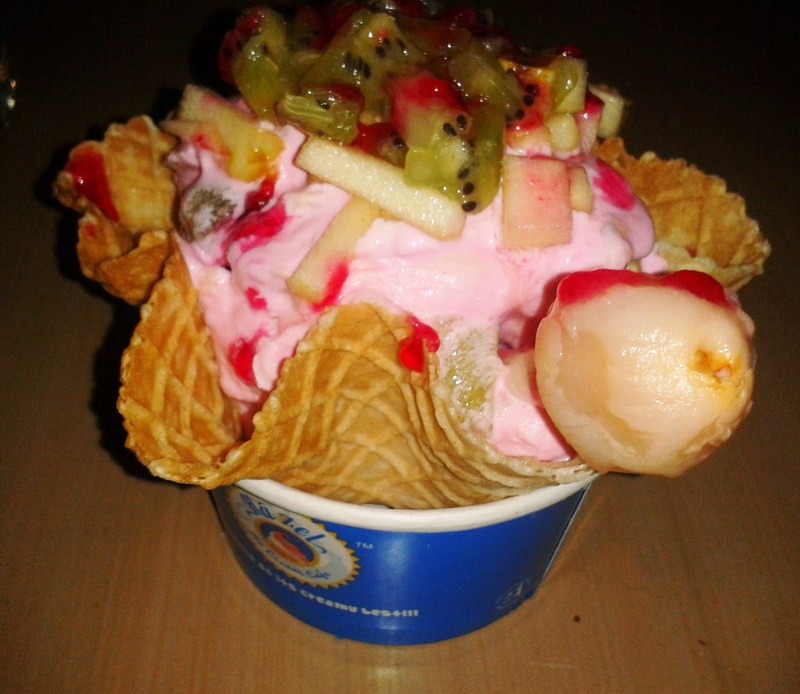 Another favorite is Exotic Fruit Indulgence, which essentially consists of lot of fruits like kiwis, lichis and watermelon in a strawberry ice cream base. The combination is great with the fruit taste overpowering the ice cream. They also have a sugar free version of the same. 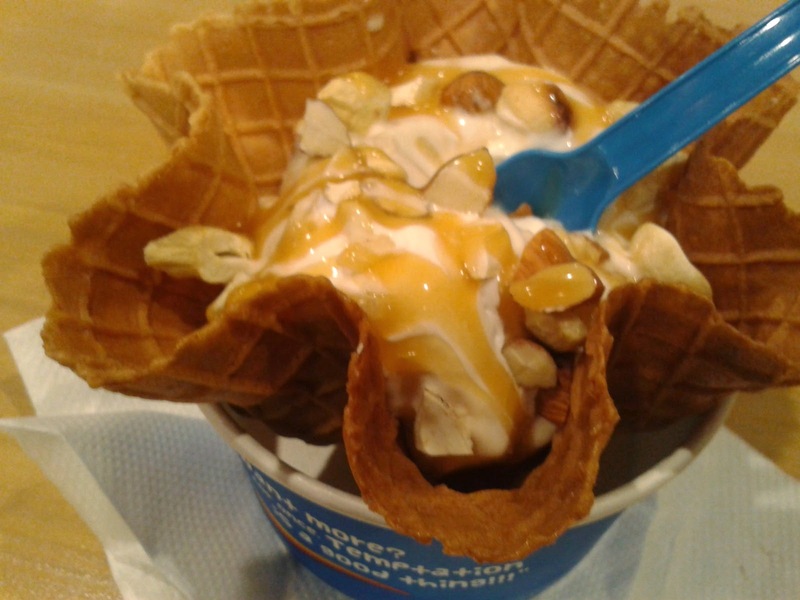 Nutty Caramel is another favorite, essentially vanilla ice cream with caramel sauce and lots of nuts. Some of the scoops served here should be tried, especially the green apple. And do not miss out on the tasty snacks available here. This is one of the older and most popular places for stone ice creams. 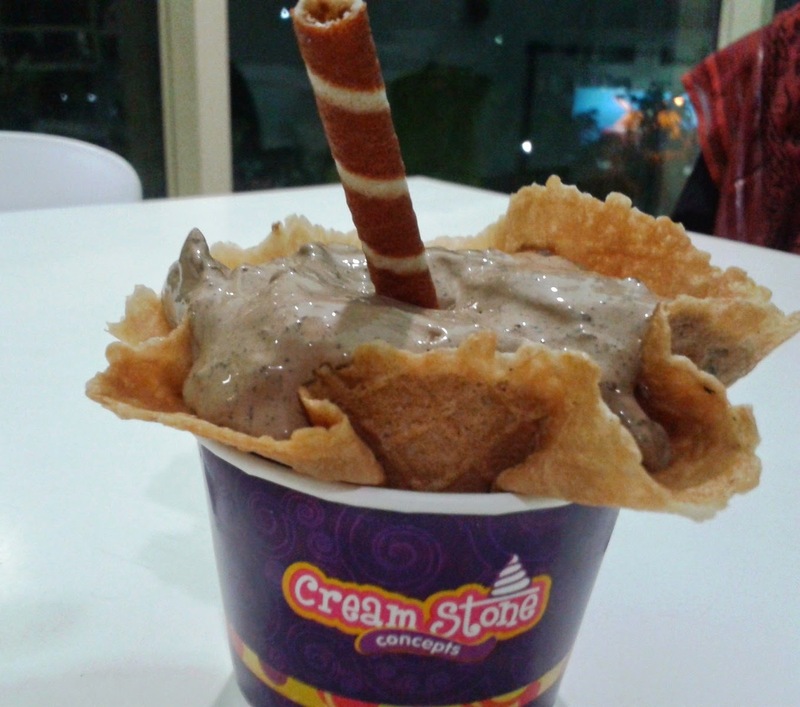 They have championed the concept of stone ice creams in Hyderabad. 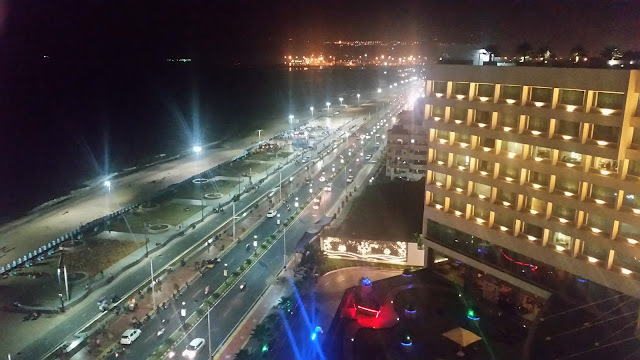 They have 6 branches mostly in the Hitech city, Jubilee Hills and Banjara Hills area and one in Himayat Nagar. 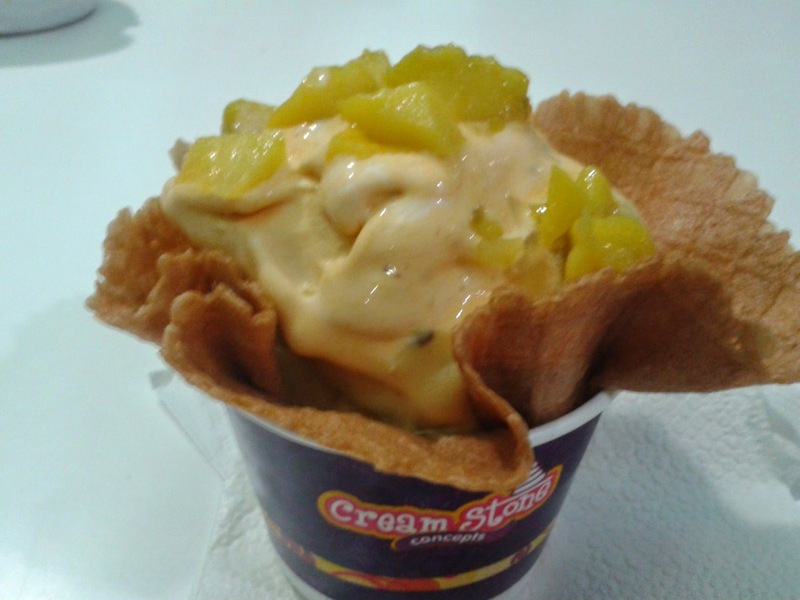 My favorite here is Twisted Mango - Mango and pineapple ice creams blended together with fresh mango pieces sprinkled on top. 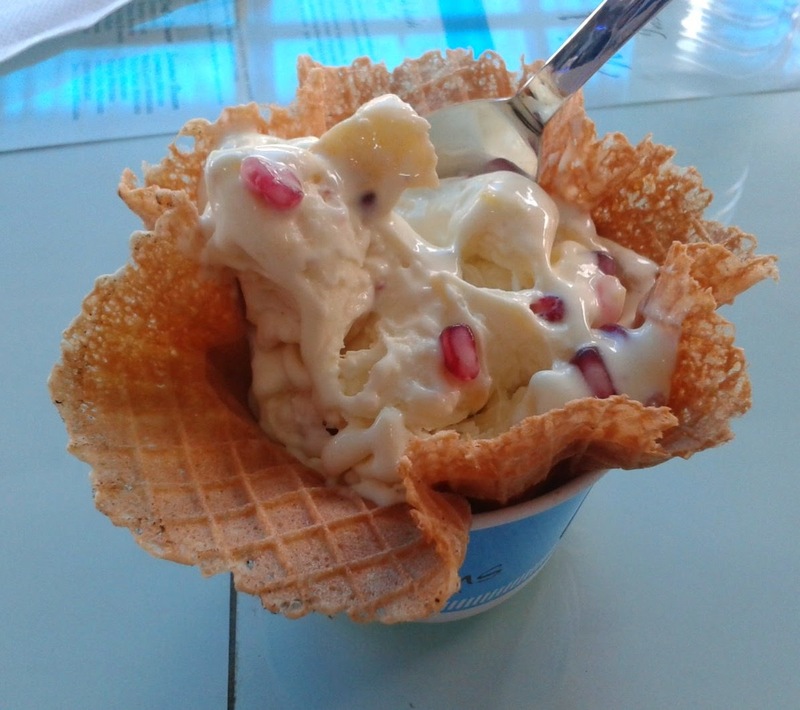 It is very smooth and yummy - especially the fresh fruit combining well with the same ice cream. Another seasonal mango ice cream they have is Mr Alphonso. They have a range of chocolate ice creams - Willy Wonka being one of their popular choices - essentially chocolate ice cream with chocolate pieces inside. Ferroro Rocher, Death By Chocolate and Nuts Overload are some of the other ice creams worth trying here. Among the single outlet ice cream joints, Oh So Stoned! In Karkhana Secunderabad is a must visit. I remember during the sitaphal season they had come up with an ice cream topped with sitaphal pulp – it was extremely delicious. A sundae to try out there is banana boat (classic banana split) – a split banana with dollops of vanilla and chocolate icecreams. 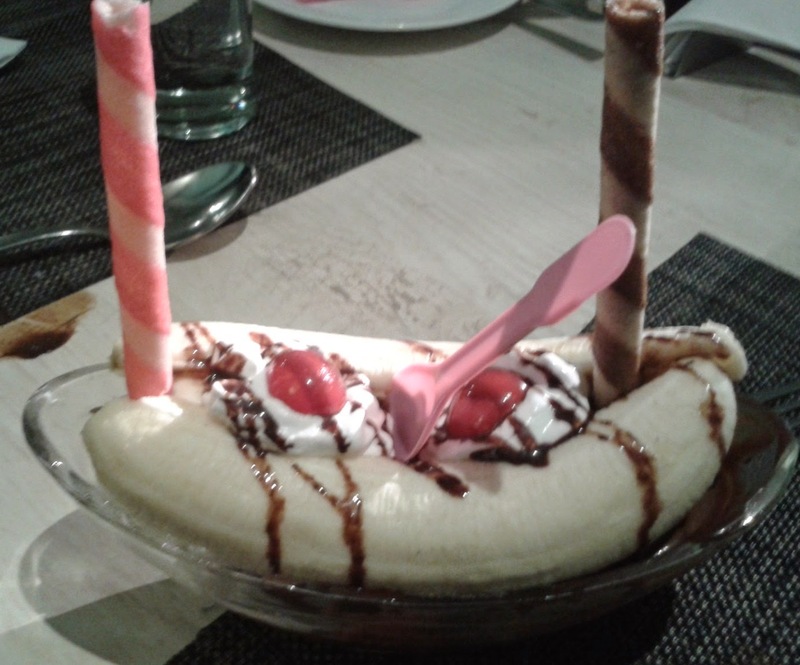 This was a heavy fare, the ice creams tasted good in combination with the banana. For the people why want to try out off beat stuff Paan Shaan ice cream is very nice ice cream with bits of supari and pan masala flavors, it leaves a great aftertaste for long. And for alcohol and chocolate lovers there is Rum Baba – which combines rum with chocolate ice cream. 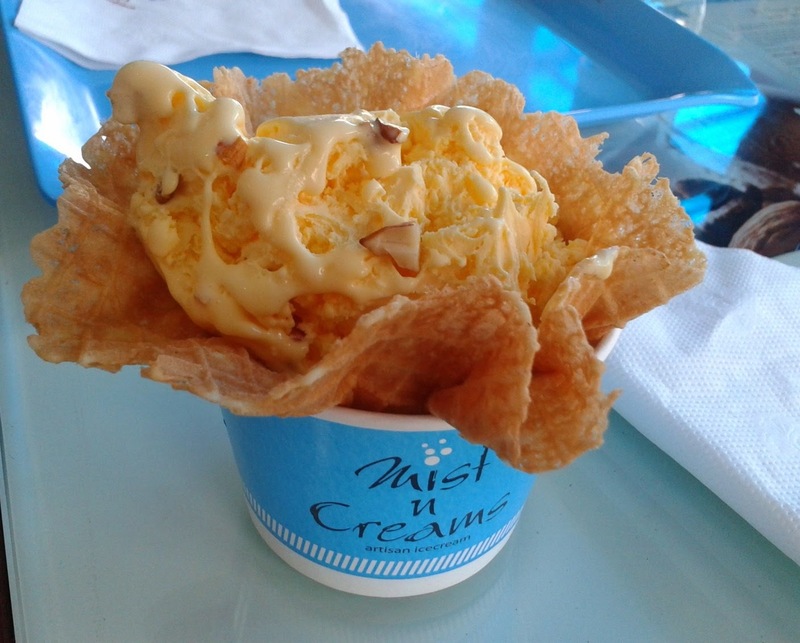 Mist n Creams in Film Nagar serves ice creams, prepared with Liquid Nitrogen instant freezing technology, where the ice cream is prepared right in front of you. I found the technique pretty interesting, where the fresh ingredients are put in a machine, and frozen right there. 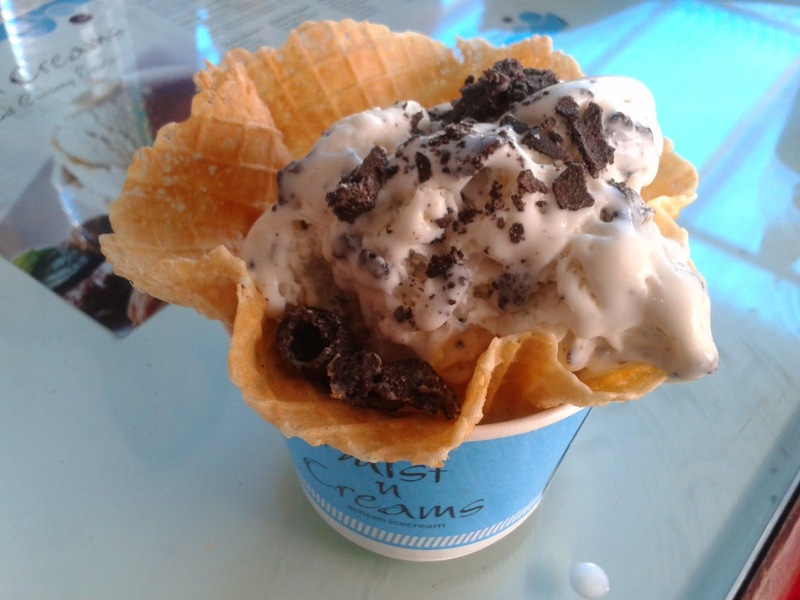 The ice cream ingredients can also be customized to the client’s taste. Havelock is a coconut based ice cream with the name borrowed from Havelock in Andamans, known for its coconuts. Fruit N Nut is possibly one of their best ice creams with choicest fruits and nuts blended into creamy smooth ice cream. Kiwi Kick is another ice cream which is very popular here. 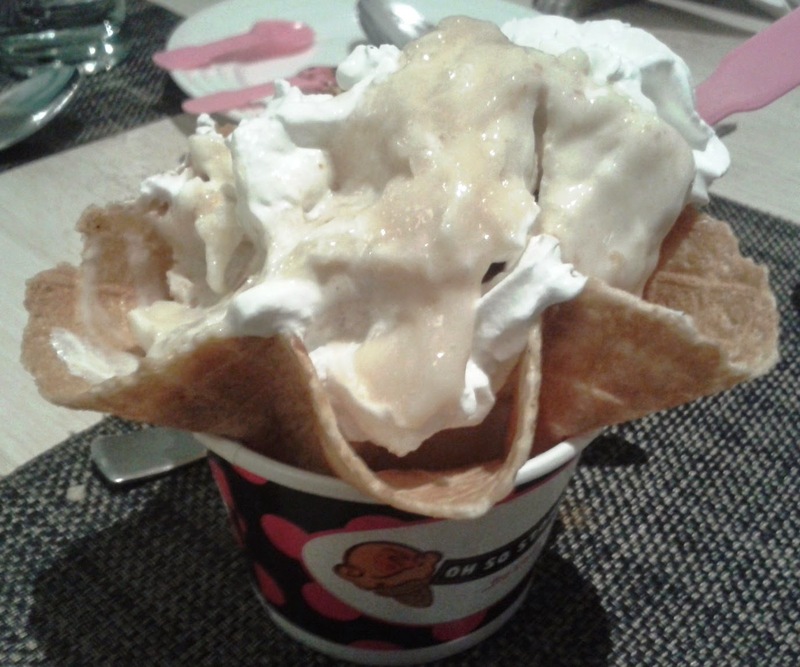 De Oro( a predominantly elaichi favored ice cream) tastes like kulfi. I thought that the amount of elaichi was a bit more than necessary. A lovely post with yummy pics.